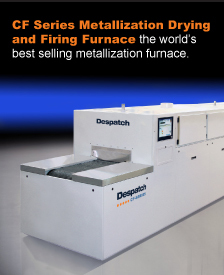 Minneapolis, Minnesota, USA, August 2, 2016 – Despatch has recently seen a major increase in orders of its walk-in line of ovens. Sales in July were double the number sold last year and are expected to remain strong for the rest of the year. 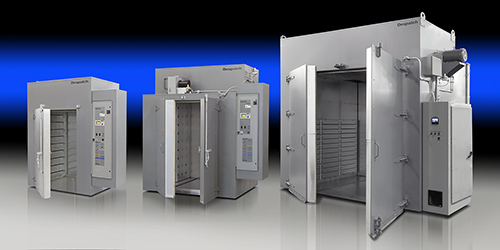 Despatch recently expanded its line of walk-in ovens with a set of new models that have a large capacity of 476 and 952 cubic feet respectively. 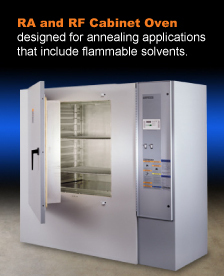 These ovens are shipped with unitized sections assembled and wired to minimize installation time. Customers have also responded to shorter lead times which have been brought down to just six weeks. The shorter lead times are a result of an extensive effort to eliminate non-value added variations while standardizing popular options. 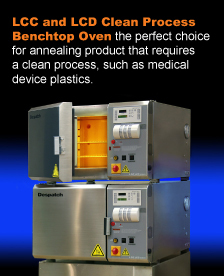 Despatch has a long held reputation for high quality walk-in ovens which feature uniflow airflow to ensure uniform temperatures throughout the oven. High volume fans deliver heated air through adjustable louvers from both sides of the chamber. This air moves horizontally and vertically through the work chamber to be reheated and recirculated through the system. The result is proven reliability in demanding production applications, such as aging, bonding, curing, drying, finish baking and heat treating. Models are available with Class A configurations and electric or gas heat.